Budgets should be authentic, not designed to hold people hostage with power buying promises. QUEEN’S PARK — The Liberal budget is a power-buying scheme. After 15 years in office, the party has discovered the word care, but in truth, the budget shows us that what the Liberals care about most is their re-election effort. 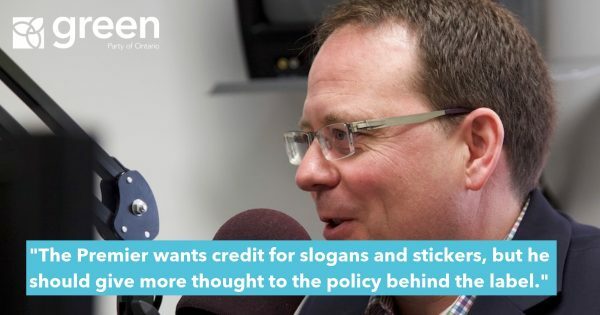 “The Liberals are now promising the moon in a politically motivated game to contrast with the Conservatives’ planned cuts,” said Green Party leader Mike Schreiner, who is on the road for a provincial Green Vision Tour. “People deserve better; they deserve leadership that doesn’t make a wedge issue out of their lives. People deserve a government that will be honest about the challenges we face,” he added. The three status quo parties are experienced at bait-and-switch political games. The Conservatives do it with their don’t-pay-a-cent-event mentality that promises to magically improve services while cutting jobs and taxes. And the NDP searches for its place in the rush to play political games for votes. 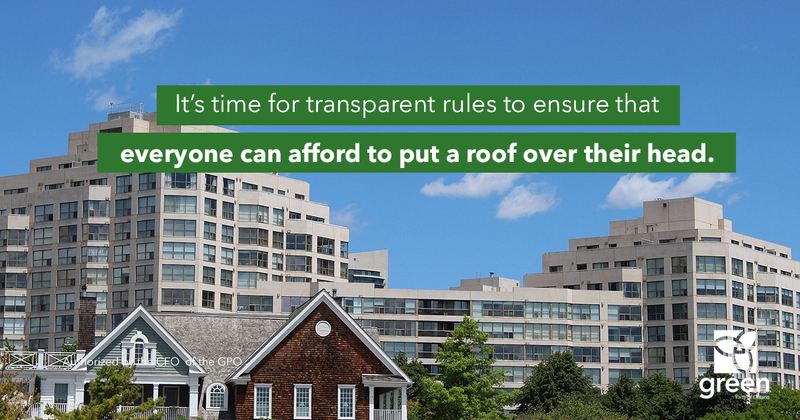 “The Liberals have not put enough in this budget to make housing affordable for all people. This problem is real. It’s a crisis and it’s not being addressed with this budget. Greens have a real plan for affordable housing,” said Schreiner. Schreiner is calling for increased funding for a housing first strategy and rules that require any new development to have 20% affordable homes. 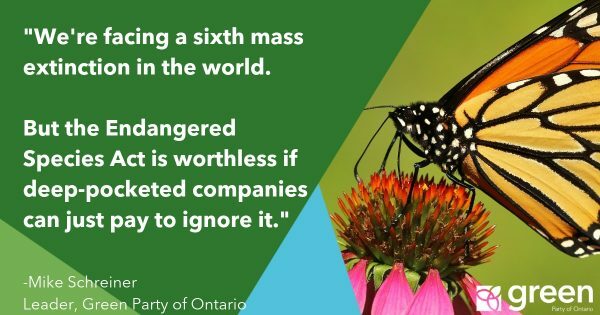 Greens are opposed to the Liberals’ spending spree on infrastructure that increases carbon pollution, instead of connecting people and communities with low carbon infrastructure. Their plan makes it much harder to meet our climate obligations. 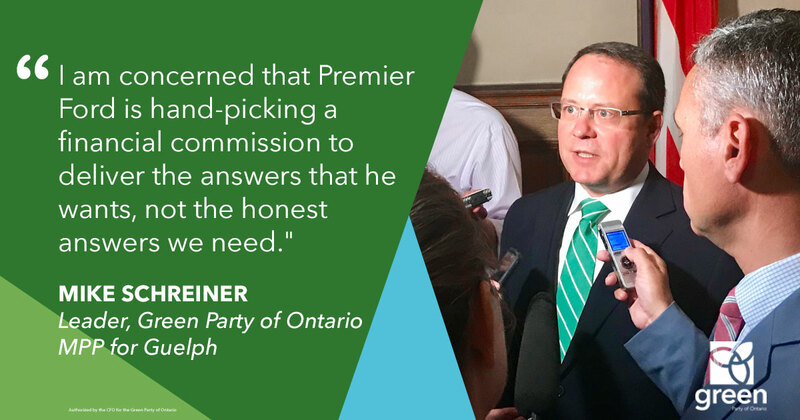 “Ontario needs to leap into the future now by building a new green middle class and creating good jobs that put people and planet first,” said Jose Etcheverry, GPO Environment and Climate Change Critic. “Greens will support prosperous local economies by providing immediate cash flow relief for local businesses so they can create more jobs and pay their workers a living wage,” said GPO Finance Critic Stacey Dankert, expressing her disappointment that the budget does not lower payroll taxes enough on local family businesses. 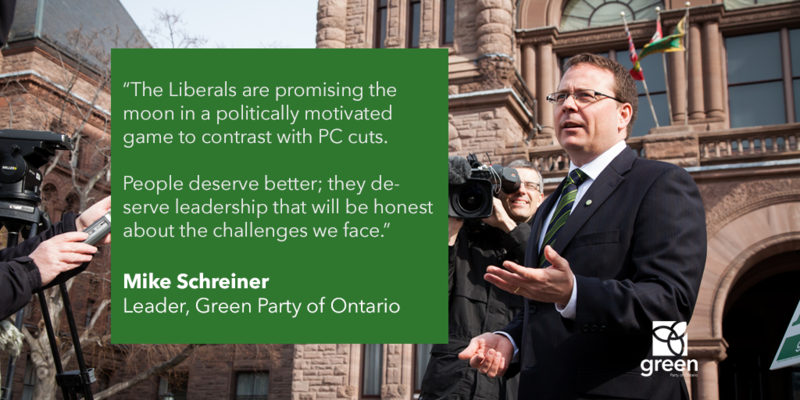 Budgets should be authentic, not designed to hold people hostage with power buying promises. We can do better. We can act with honesty and integrity. 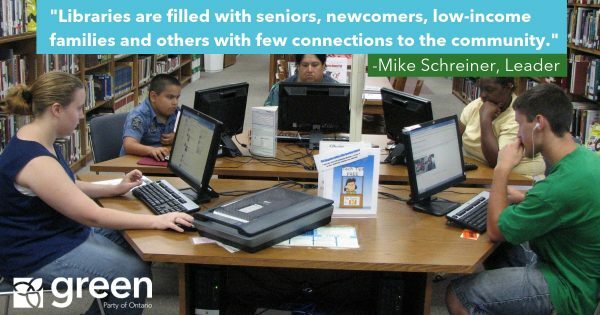 We can put people first. 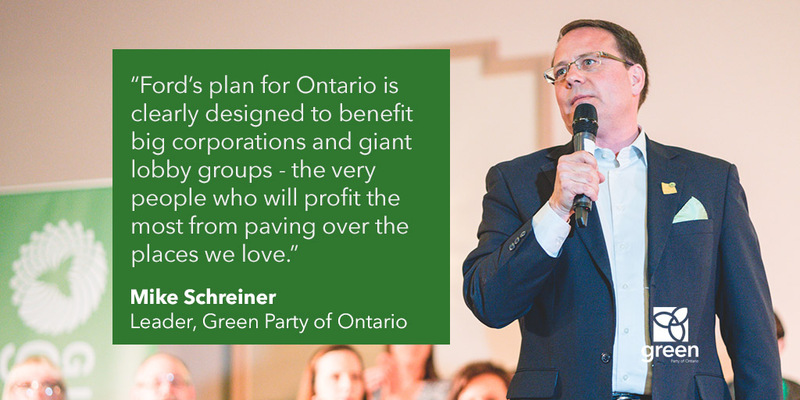 Find out more about the party’s Green Vision for Ontario at www.gpo.ca/vision.